I’m not mega active on here posting wise but I browse it daily, so thought it about time I started a thread on my 996 C2, as ever it’s as much for my own records as anything else but it’s always good to be able to ask for advice and opinions. I’ve been a Porsche owner now for a little over 4 years, I’ve never really posted anything about it, so I’m going to give a little albeit long story on its life, what the cars been through, what it had done to it before my ownership, and what I’ve done to it since February 2013 when I got my hands on it and how it has ended up like it is now. At this point in time I’ve spent on the car pretty much what I paid for it, now this is not only on things that are necessary e.g. Servicing and repairs etc. but also pre-emptive maintenance, upgrades and parts I’ve bought which I think improve the car. I know some things might not be to everyone’s taste but then who cares, it’s not your car. 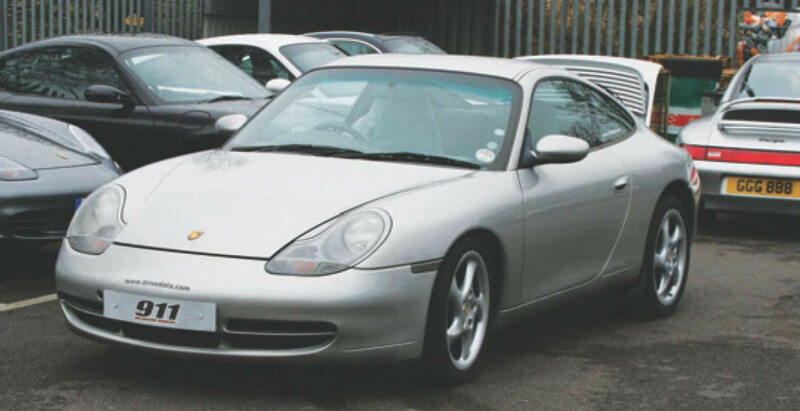 The car was bought new on 13th July 1999, by the first owner, who unfortunately I have no information on at all, the second owner bought the car on 10th March 2000 with 8,091 miles on the clock from AFN Guildford for £62,995, he then enjoyed the car until 2005 when it had just under 65k on the clock and went into the Porsche dealers for what should have been a straight forward service….. 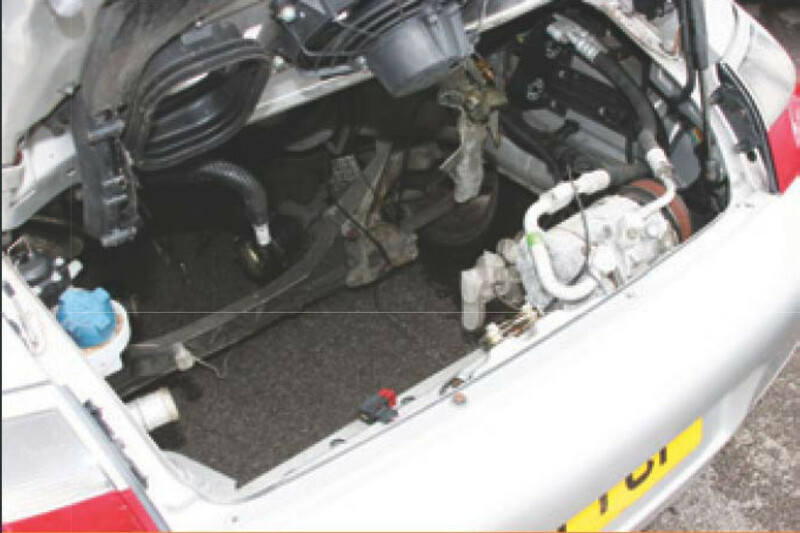 The car was then bought by Mark Dunsfold, the 3rd owner in 2008, owner of Cobra Seats from the 2nd owner with a little problem...the car had its engine blown up by the main dealer on road test after a service, as they failed to put any oil in it !! 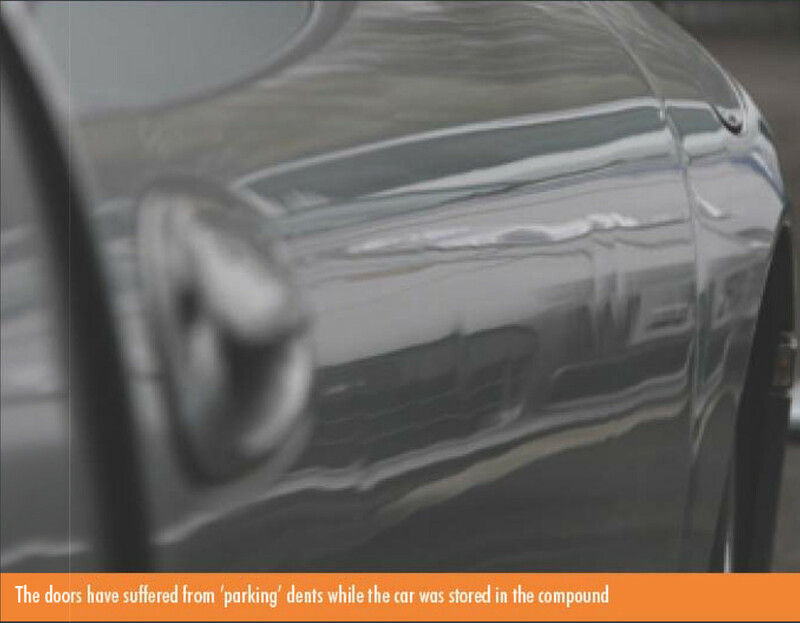 The 2nd owner successfully sued the dealer but had been without it for about 18 months in which time he had fallen out of love with it, given the legal case with the dealer etc. Pics of the car as Mark bought it, engine-less and looking rather sorry for itself. 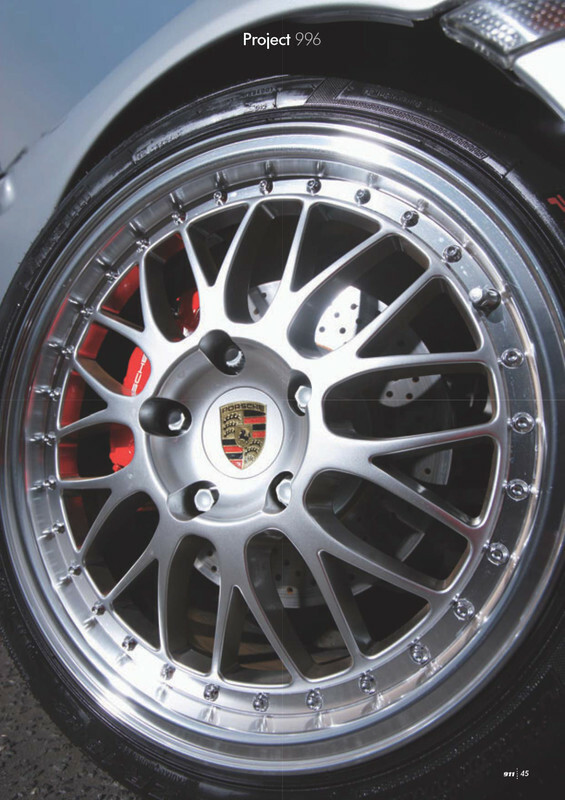 Mark bought the car as a project not only to get it back on the road but also to create a showcase for his company and their products, which range from motorsport seats to full custom re-trims. 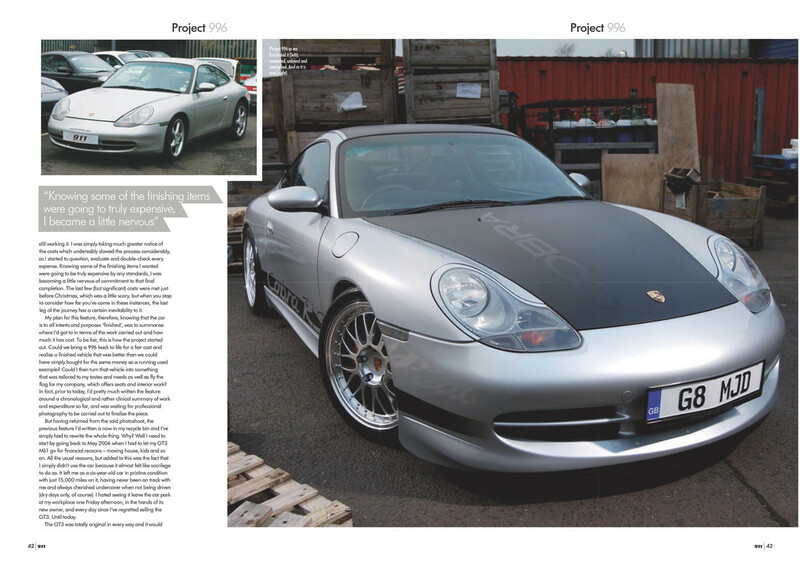 The story of the car is covered in the Total 911 magazine series in issues 40, 41, 42 and 45 of 2008. 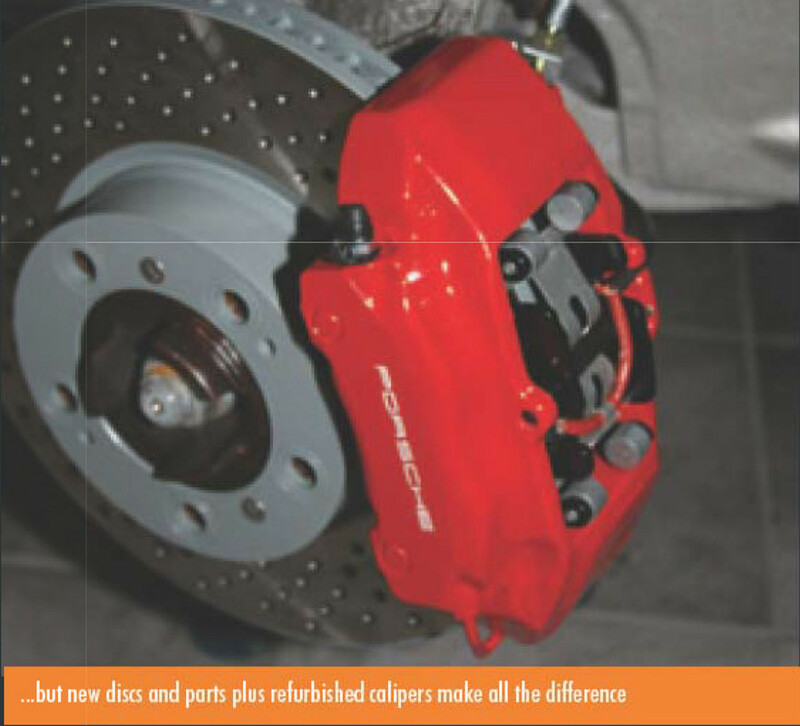 As it turned out, many parts were missing, and even parts which weren’t from this car were in there, ranging from early 986 parts, up to, at the time, a very recent 997 Turbo unit. Turns out it was just used as an unwanted “warranty” parts bin. 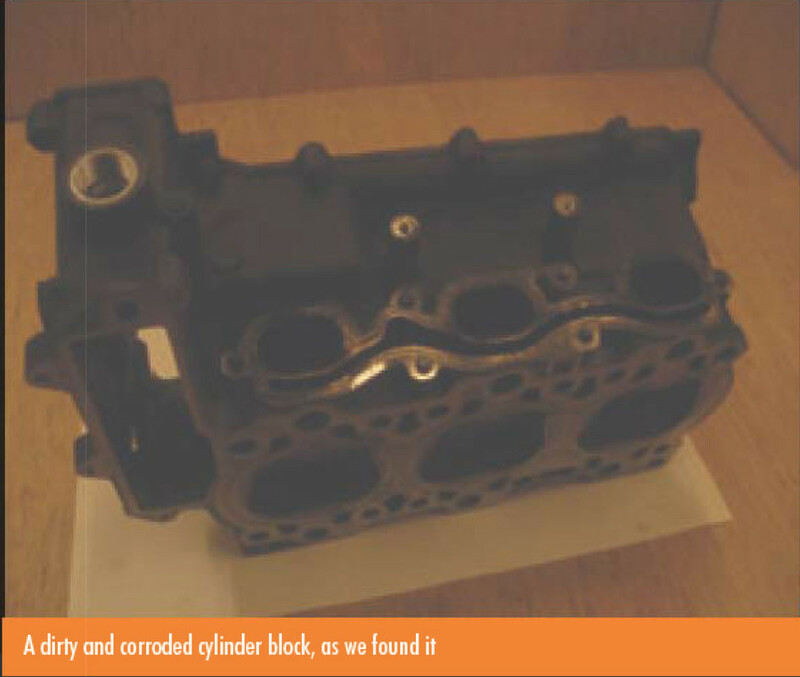 The main parts missing from our engine were 2 pistons (believed to be with the engineering witnesses for the court case) and both cylinder heads. 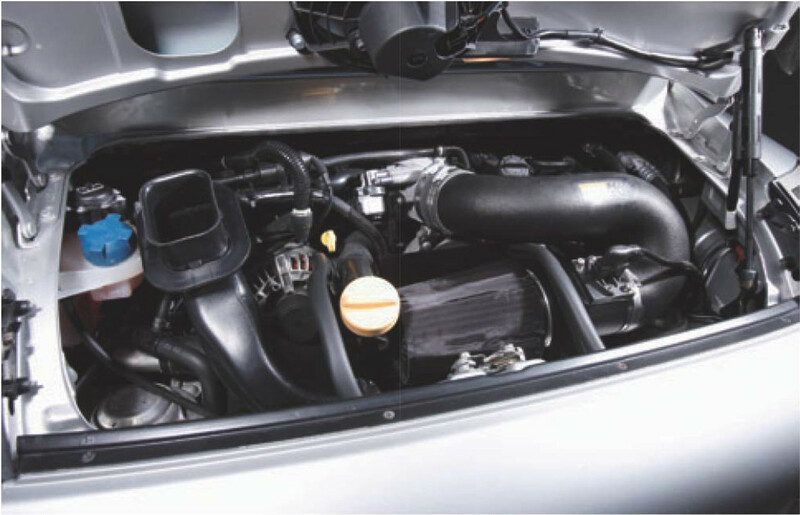 What they were left with actually only amounted to 70% of the complete engine, which was slightly less than what the Porsche Dealer was meant to give back with the car. 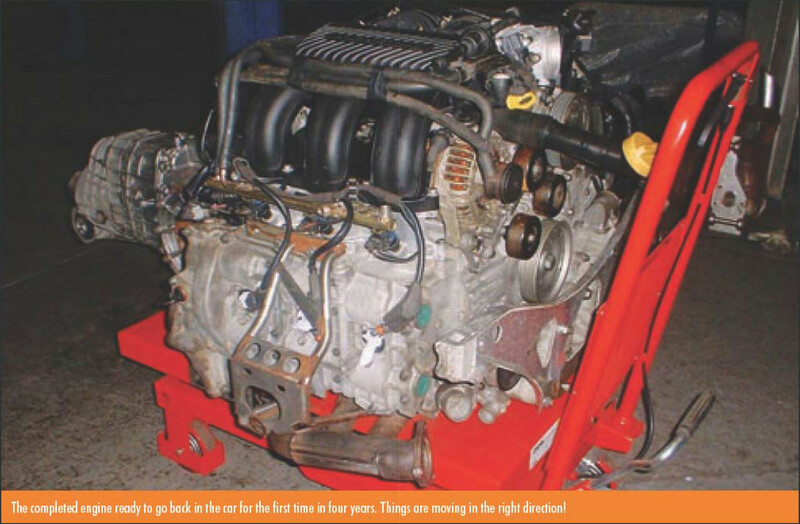 At this point there were 2 options, continue with the existing engine (what was left of it) or rebuild another one that Hartech had on the shelf waiting for a rebuild. Mark decided to stick with the existing engine and source the parts need to rebuild it to keep as much of it’s originality intact as possible. 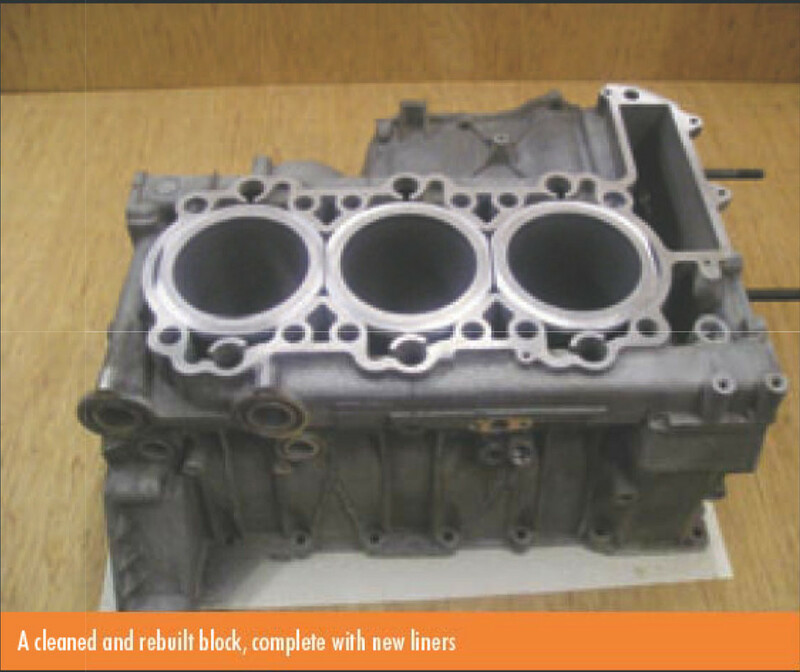 Then started the work to rebuild the engine. 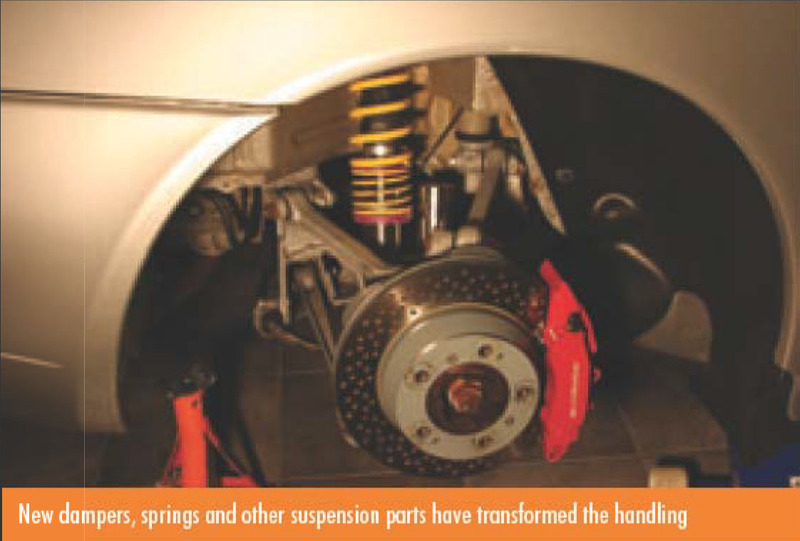 •	KW Variant 3 fully adjustable new suspension all round with new poly anti- roll bar bushes/new upper/lower control arms (the car was running GT3 RS suspension settings when he had it first set up, but soon after had it ‘dialled out’ to a fast road setting. Mark also sourced a brand new OEM aero kit with front rear bumpers and new side skirts and also engine cover and mk2 rear spoiler – all professionally sprayed/fitted. 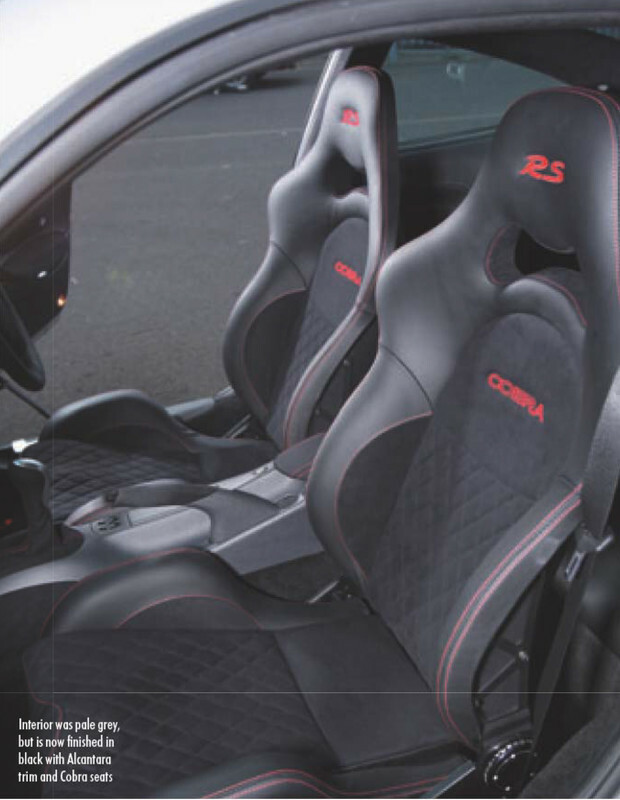 Full Cobra interior re-trim/upgrade to include the following…. The 3rd owner was Chris ***** who I bought the car from. 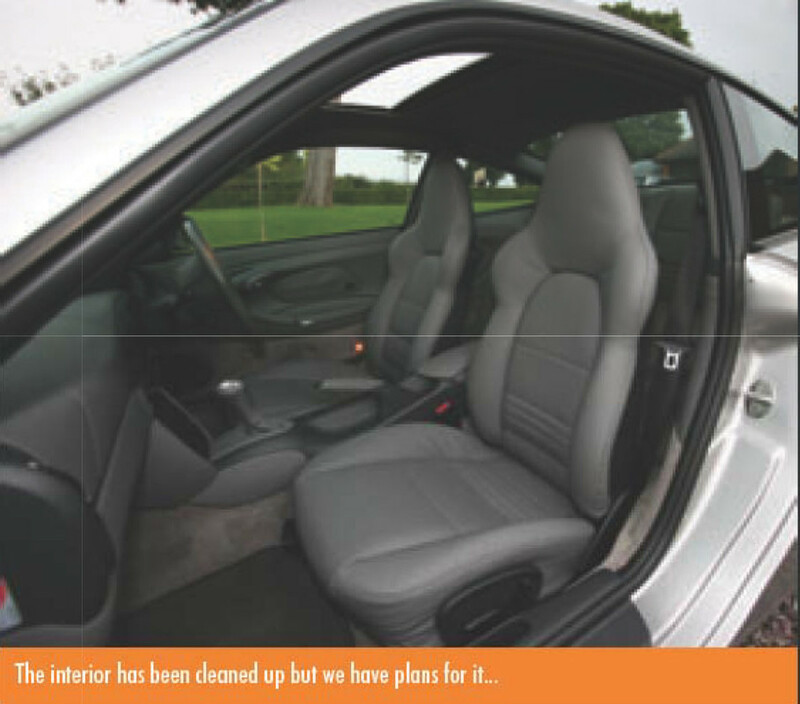 He had owned the car for 3 years & 12,000 miles and carefully serviced it and cleaned it meticulously. 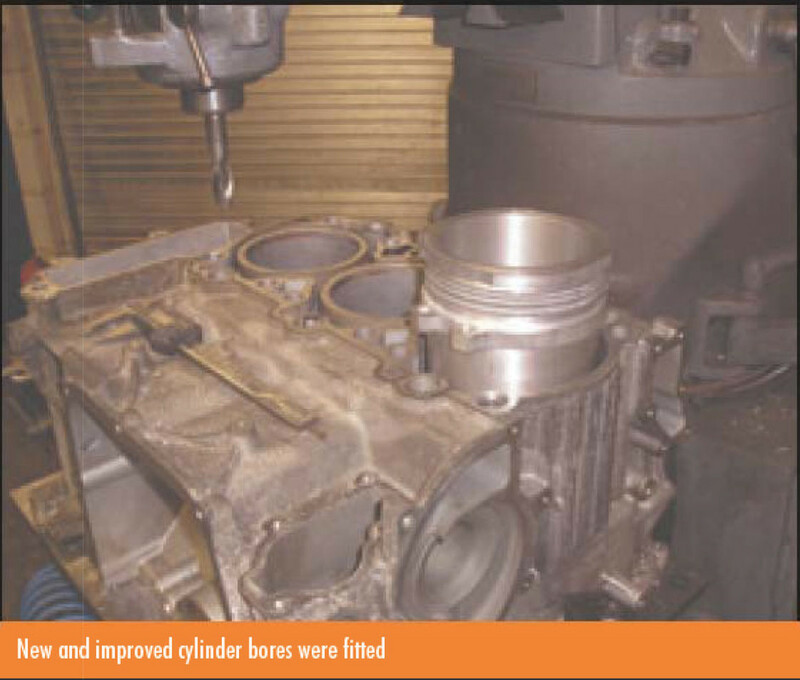 He has done preventative maintenance such as having the door striker plates rectified with upgraded ones and paint correction to these areas, had the oils changed every 12 months regardless of mileage and also had a major service in 2012 – oils, belts, plugs, replacement coil packs as necessary and a minor weep fixed on the NS rocker cover (a common problem apparently). 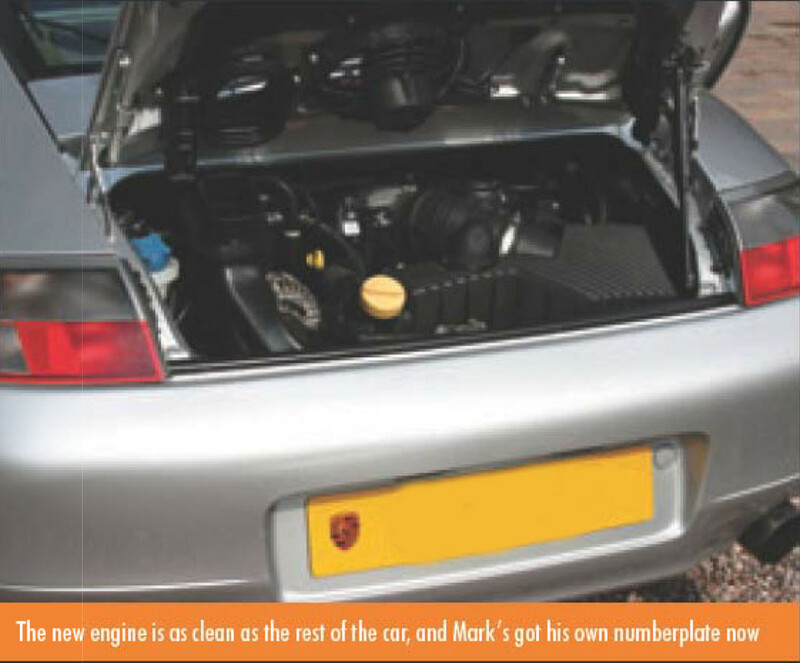 His servicing was done by the former senior ‘techie’ from Sutton Coldfield Porsche at the weekends who himself, has a well sorted 996!!! He would buy all the parts from the dealership and then fit them, He has a specialist stamp for the service book (he is now the head techie for Mclaren/Rolls Royce Birmingham). 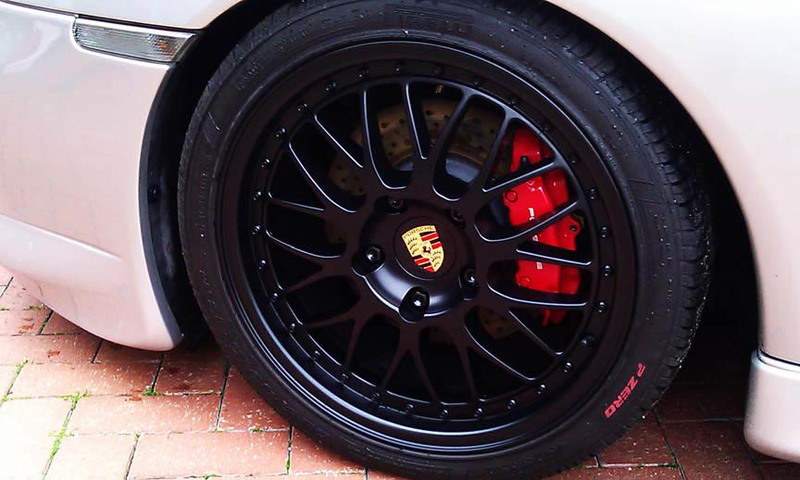 Chris also had the wheels powder coated black, they really set off the red calipers. Chris tended to keep the car off the road in the winter period with it sat in the carpeted garage, he said “it is warmer to be on a carpeted floor than a painted concrete one when you are cleaning it” He had a couple bits of tidying and cleaning to do to it before I myself was to come down to see it. 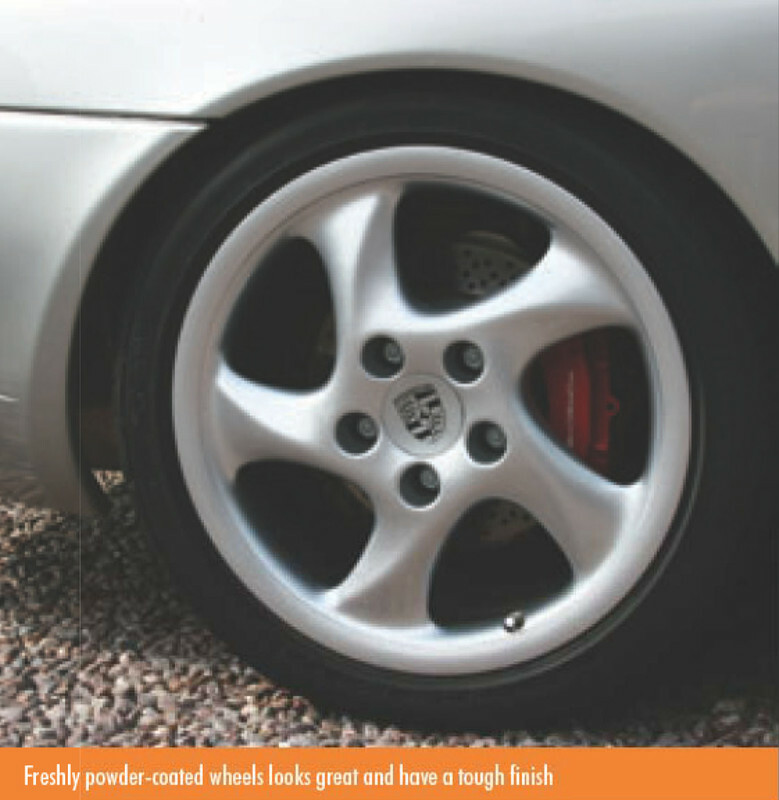 He said he wanted to fully clean it including claybar, polish and sealing of the paintwork, clean the red callipers/backs of the wheels and polish the exhaust tips again. Chris had all the history for the car from the second owner at about 8 months old, handbooks/service books and a thick file of receipts including all the old MOTs and even the tax discs for the last 8-10 years, in Mark Dunsfold’s hands he must have spent, ignoring the car approaching £20k in retail money terms although he used his trade contacts and swapped products with his suppliers to get trinkets and parts for the car. 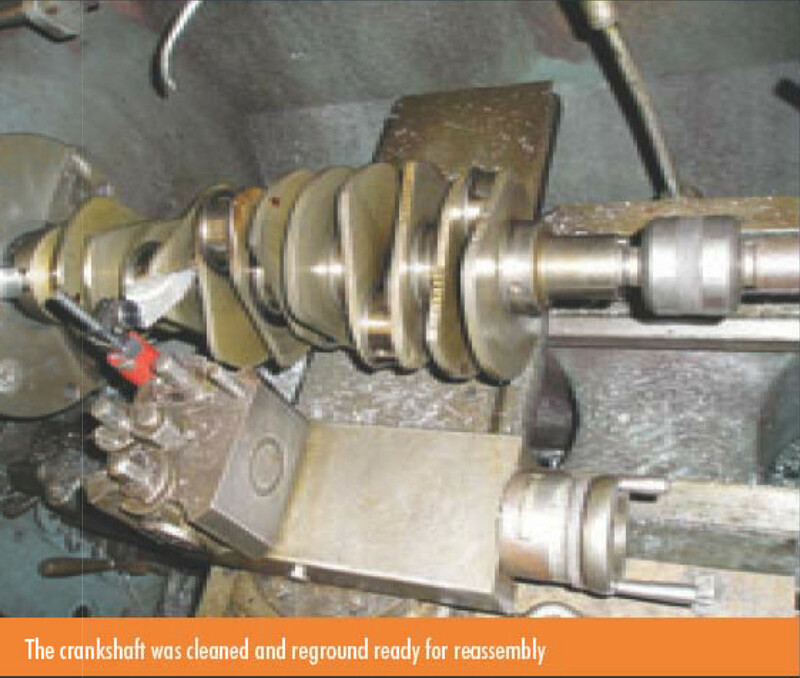 If Mark couldn’t polish something clean, he replaced it with new nuts, bolts, screws and clips, the receipts would have you shaking your head at his level of determination to get it right. 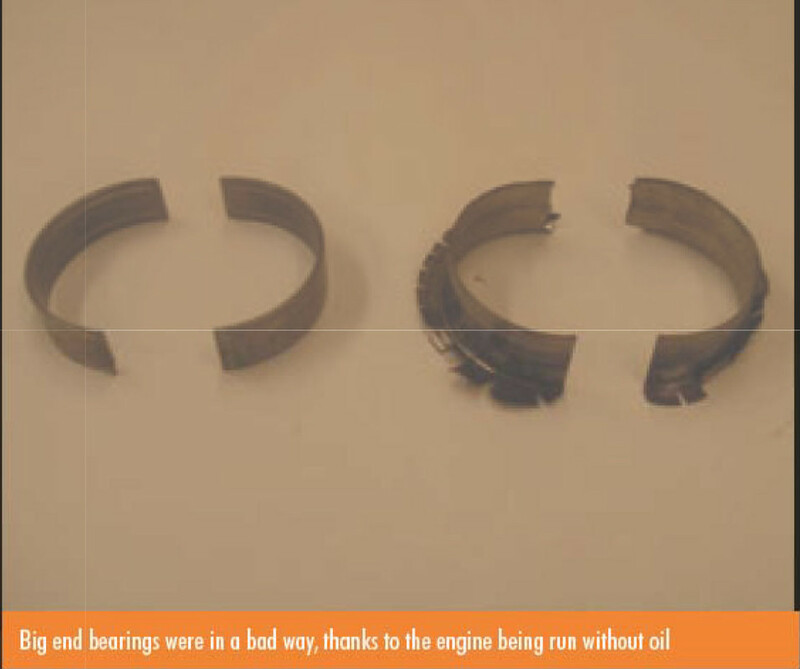 Given the car had a completely upgraded engine, all the mountings, bolts and exhaust bolts were new less than 25,000 miles ago and where Chris had changed the exhausts, he too had replaced things new, like the exhaust clamps for completeness. One final thing that he told me which is always nice to hear, is that the car was always carefully driven until all the fluids were warmed properly and on occasion when it has been driven with ‘spirit’, it was driven sensibly and always made sure it was allowed to cool down before being switched off. I bought this car on 9th February 2013 from the 3rd owner Chris *****. After a good friend of mine, Mark (Marky911 on here) having had many Porsches, from a 70’s bitsa, 964 Carrera 2, 964 Turbo and a MK1 996 GT3 Clubsport, of which I got to drive them all, it just kind of made sense that I should be buying one as I loved every one of his. I had previously made the mistake of buying a TVR Cerbera 4.5lt, which is a car I’d always loved and swore I’d own one someday, but after 3k miles, 3 years ownership and £4k in repair bills, after which the car still wasn’t right, I got rid. I did lose quite a bit selling it as I would never rip anyone off, but I needed a more reliable car for weekends/days out etc. 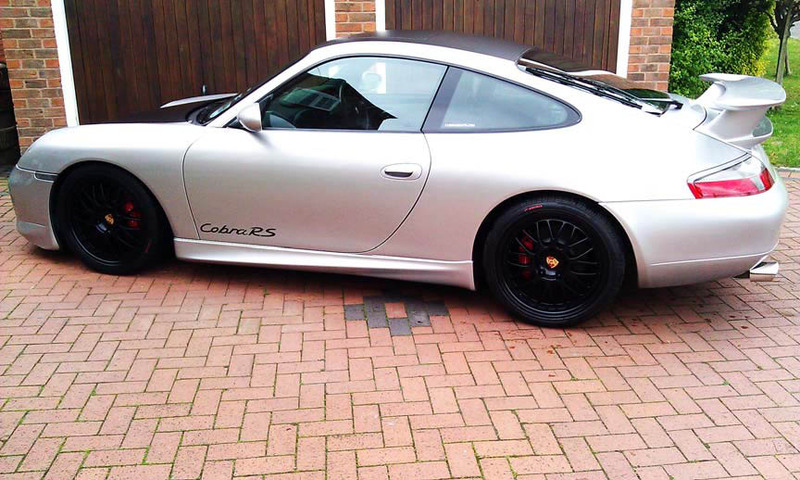 I’ve always loved the 996 with an aero kit, obviously I’d have preferred an actual GT3 but as they were well out of my price range It would have to be a standard 996 with kit… with these now being around my price bracket the search began…. After months and months of searching for a 996 Carrera 2, myself and Mark struggled to find one. I was even starting to look at cars without a kit and getting one fitted. 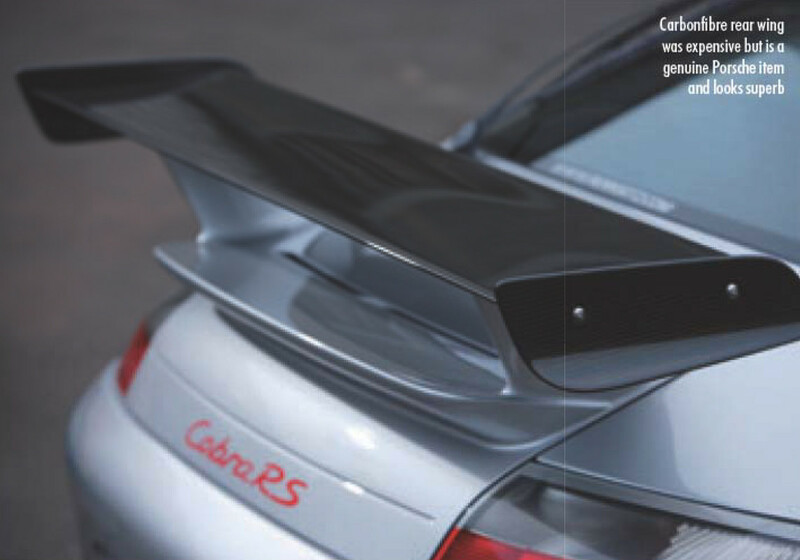 I also started looking at Carrera 4’s (I didn’t want a C4) but every car we looked at was really rough, none of them had been looked after and there wasn’t one that we looked at that didn’t need a whole lot of money spent on it just to bring it back up to scratch. You have to remember 996s were still well and truly in the daily driver category back then. Mark always said to me, just bide your time and something will come up, you need to buy one from an enthusiast so it will have been looked after, but I’m terrible when I have money to spend, I want it there and then, no waiting! So eventually, after Mark posted on P’heads asking where all the decent C2s were, a guy (Chris) popped on to say he had a sorted car that he was thinking of selling. 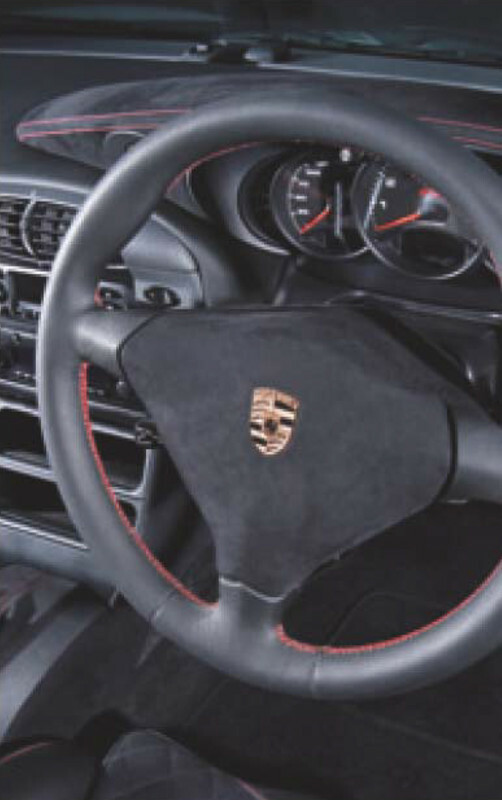 Emails were exchanged including “emag” copies (scanned pages) of the Total 911 magazine which the car was in, pictures of the car from some group meets Chris had been to and a run down on what had been done and what he’d done to the car during his ownership. Now while the car looked really immaculate and that it had been cared for meticulously, myself and Mark agreed that the wrap on the bonnet and roof gave it a kind of track car/max power look and wasn’t really too our taste, but hey, we knew that it could be removed and if the car was as good as it looked on the photos the wrap didn’t matter one bit. After both myself and Mark had gone through everything that had been sent, we both thought that this car was going to be well outside my price range (as Chris hadn’t mentioned the price yet), we thought at least £16k - £18k easily. Straight away I messaged Chris to arrange when I could give him a call and discuss the car in greater lengths. After speaking to him a few times and doing a few standard checks on the car that you would normally do, we agreed on a Steal of a price, £13,750.00 straight away I sent him a deposit to hold the car and then booked the train tickets for Mark and myself to get down to see the car. We went down to see the car and it was exactly as Chris described, there were a few little minor niggles with the car but I was told all about these before getting there, the leather was coming away on the top of dashboard from the glue letting go after sitting in the sun, the bottoms of the wings had pebble dashing to them, there was a little chip behind the driver’s door that was down to primer and looked like it had been touched in by Stevie Wonder…. and the near side exhaust “bypass pipe” didn’t sit in the bumper properly. That’s all that we could find wrong with the car so Chris then took us inside his house for a cuppa and to show us all the paperwork relevant to the car, Handbooks, Total 911 feature magazines, the many many receipts and folders it had and the exhaust back boxes etc. 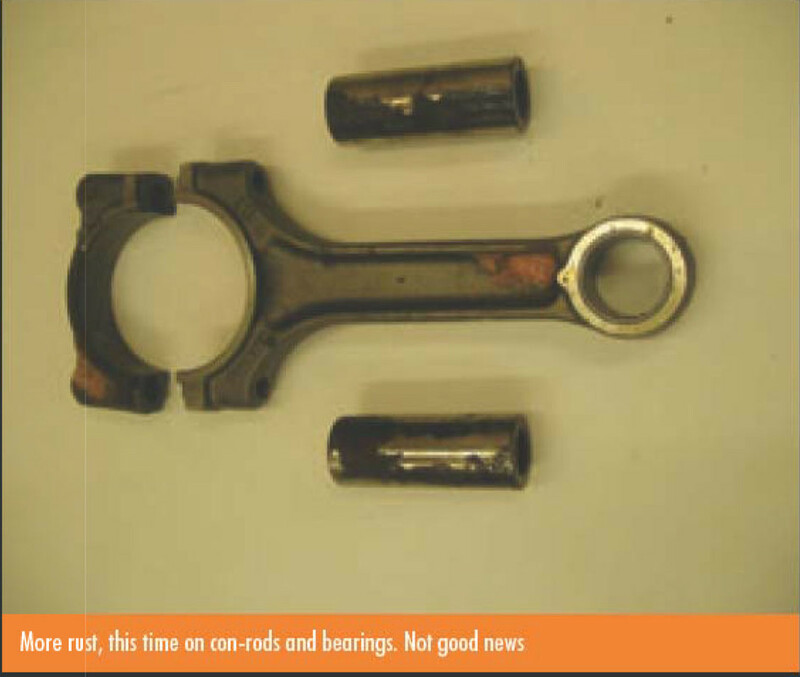 that he removed to fit the bypass pipes. I was more than happy with the car so pending a test drive the car was to be mine…. YAY !!! After a decent test drive on some “A” roads and “B” roads, the car was fantastic, drove like new, so we jumped straight onto the motorway and headed into the nearest town to the bank so I could transfer the funds to make it mine. After that it was the 4 hour drive home…. which was nowhere near long enough if you ask me. So now the car was mine I could start on my to-do list. 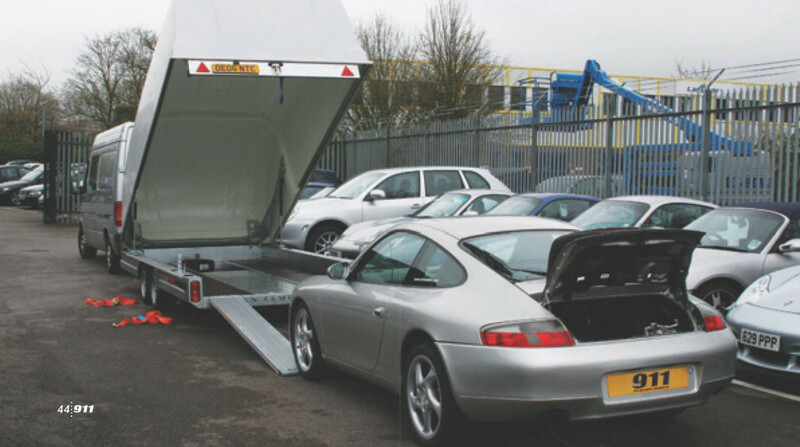 After all, every petrol head needs one, but the first thing to sort out was getting it to Jamie at Nelson Porsche in Stockton for a once over to make sure all was well underneath and to carry out a minor service as that was as much as the car needed. 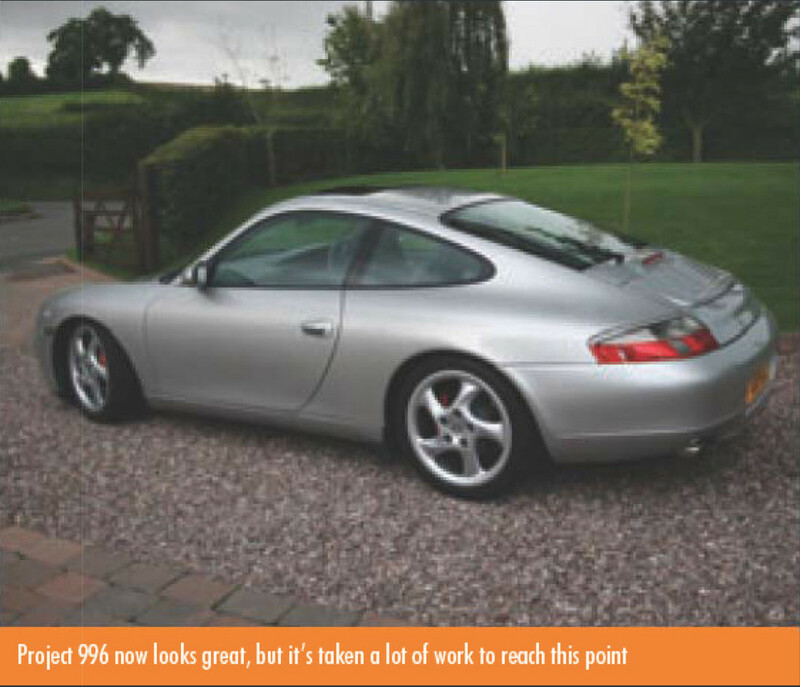 That being done, Jamie said that the car wanted for nothing and everything that would normally be needed on a 996 had been done… Happy days…. Now happy in the knowledge that the car was good, with having the Hartech engine, rebuilt gearbox and all other things such as KW V3’s, it was time to just enjoy it for a while, whilst I formulated my plans for future mods etc. Thanks for reading folks…. Well done If you managed to get this far. Fantastic post mate, really good read. I am loving the interior and those seats wow. Look forwards to seeing what you have been upto with the car as it is a pretty stunning car as it is. Why don't you bring it South in July for us all to ogle. Looking forward to seeing more recent pictures. Well the seats are gone for starters. Even better ones in now but I'll let Craig get there in his own time. Beware Craig the above poster may soon be in violation of the Porsche spark plug change interval. Dodgy geezer who's car may blow up. Just joking BlackT. Couldn't resist. About time you got this written up Craig. I always thought I'd be the next owner of it but knew you wouldn't part with it. You hit lucky with that one. I'm still gonna make mine better though. Brilliant thread Craig and what a story! BlackT, like Mark has said, the seats are no longer in the car. I've changed them for something a little better but i'll get to that in the coming weeks. I look forwards to seeing these new seats as I think these ones look amazing, i doubt I would have changed them out myself. The only crime here is you took so long to share with us. Wheels are not to my personal tastes, but that's a hell of a swan from an ugly duckling. I really like those seats. 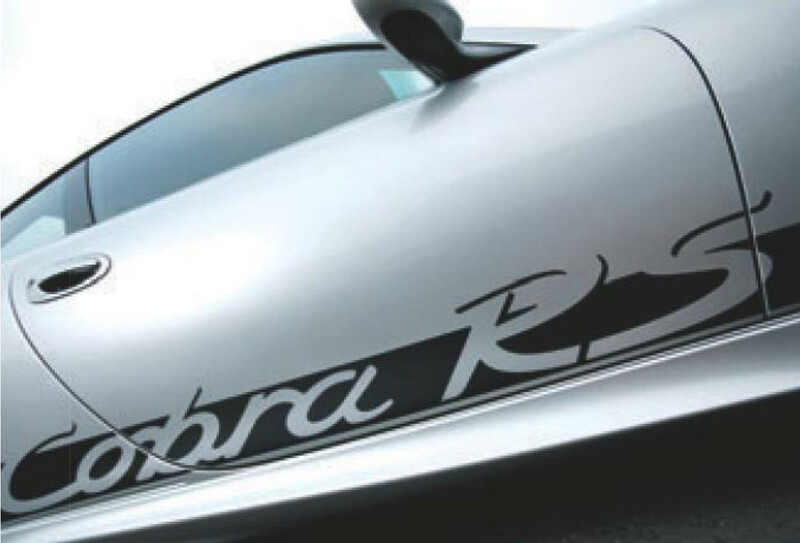 Do Cobra still make them? If you ever think of selling, I might be interested; the OEM ones aren't quite enough for me. What fantastic provenance and history. Great way to arrive and make a terrific entrance. I remember the story at the time in Total 911... it was secret squirrel who the dealer was, so thanks for solving that mystery! Dreadful story, I can't believe there was any sort of legal dispute and the willful damage to the car afterwards very strange. Nonetheless, great to see it back in action, a bit like one of those TV shows about pets that are rehomed after years of neglect! Looks like a fantastic car, a great buy for what you payed for it. 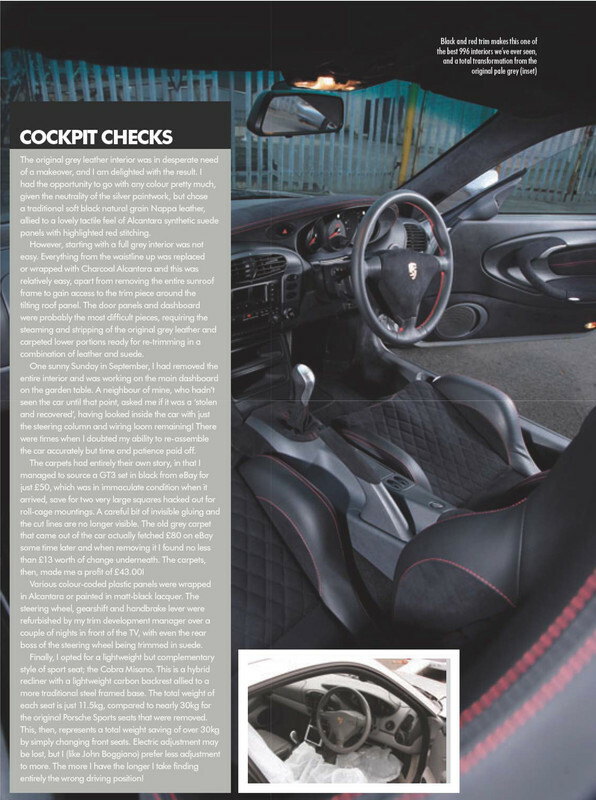 The interior looks particularly good in the mag pics. @EGTE- I think they are the Cobra Misano seats. Hi all ! Again, thanks for taking the time to read my thread and for all the comments left. Robertb, if memory serves me right i'm sure i was told buy the guy i got the car off that dealer actually rang the customer and said your car has blown up, what do you want us to do with it ! Obviously, if it went to the courts, then the dealer must have filled it up with oil when they got the car back to the garage so they wouldn't get the blame for the damage Crazy ! 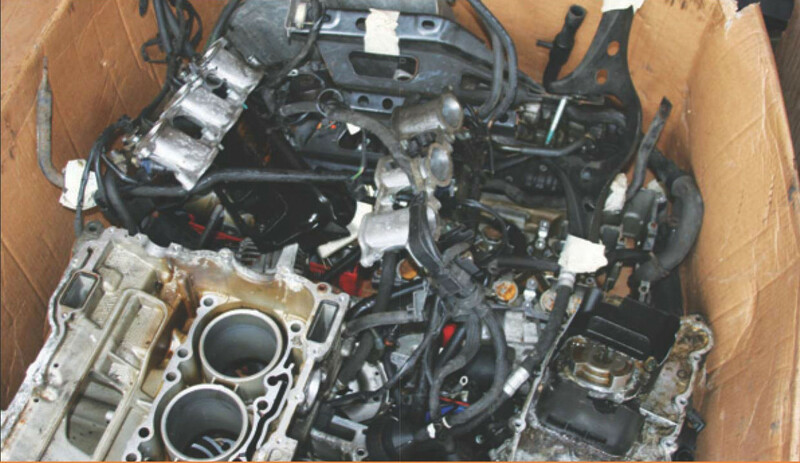 It wasn't AFN Guildford that seized the engine.... That's just where the car was bought from. Sorry, should have made that part a little clearer. Thanks for the info on the seats, guys. Oh, so I still don't know who the dodgy lot was! A very interesting read but a bit of a horror story at the same time, but what puzzles me if the car was driven without any oil was there no warnings not that would help much if the engine was dry damage would be done straight away.